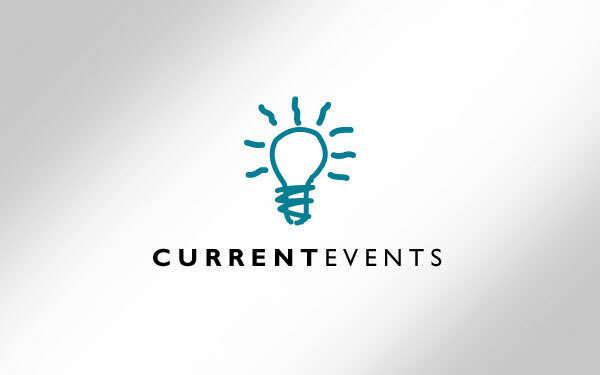 I have been with CurrentMarketing 14 of its 27 years of existence. In that time, we’ve always been heavily involved in planning events. When I joined the company, we had just 7 or 8 employees.Those were the days of Friday Happy Hours on the veranda of our office building with vendors and clients. Immediately, it quickly grew to themed parties at the office every summer with clients and vendors, to unique company trips and fun team building exercises. And, as the natural order of things at CurrentMarketing typically goes, we perfected our expertise in this area and began to offer this service to our clients. You may be asking yourself, “Why would a marketing and advertising firm plan my event?” Well, the answer is really quite simple. Our clients trust us to be involved on many levels of their business. Tumbleweed Tex Mex Grill & Margarita Bar, for instance. 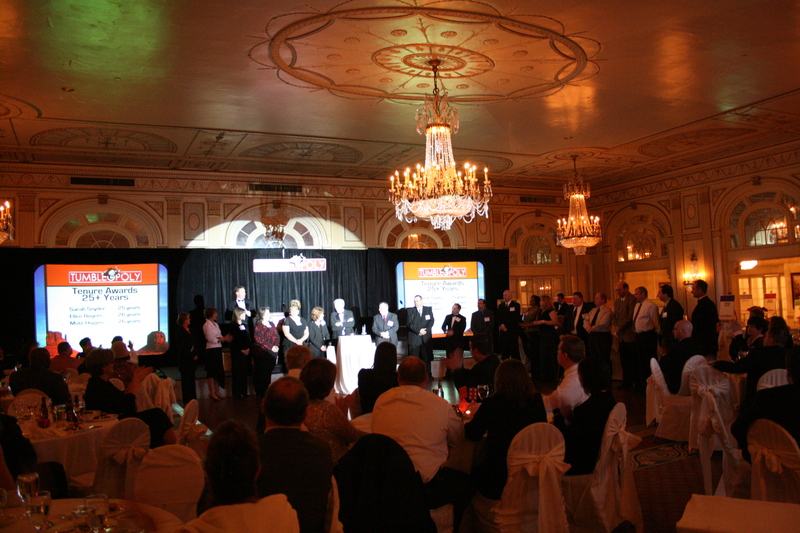 At an annual event, they award top performers in their markets and host an event to celebrate their accomplishments. It’s the one time of the year that all of these folks are in one room. A little while back, It became evident that this was a perfect opportunity to share key beliefs and practices that the company wanted their teams to implement. So invitation wording, speeches, video presentations, graphics, decor, souvenirs, awards and even the destination were just as important as the messages we built for them. As their marketing and advertising agency, we are heavily ingrained in the cultivation of the brand and have first hand knowledge on the best way to disseminate this information through the ranks. Themes for their annual festivities have become very important each year so that the content stays fresh and invigorates the players. Morale skyrockets around these themes and quickly makes ambassadors for the brand out of managers and district operators alike. So, stop playing around in Powerpoint and shooting homemade videos in your company’s parking lot! Leave the event planning to the experts – as marketing professionals, we have real insights and experience to make your event pop. And to drive your brand home. 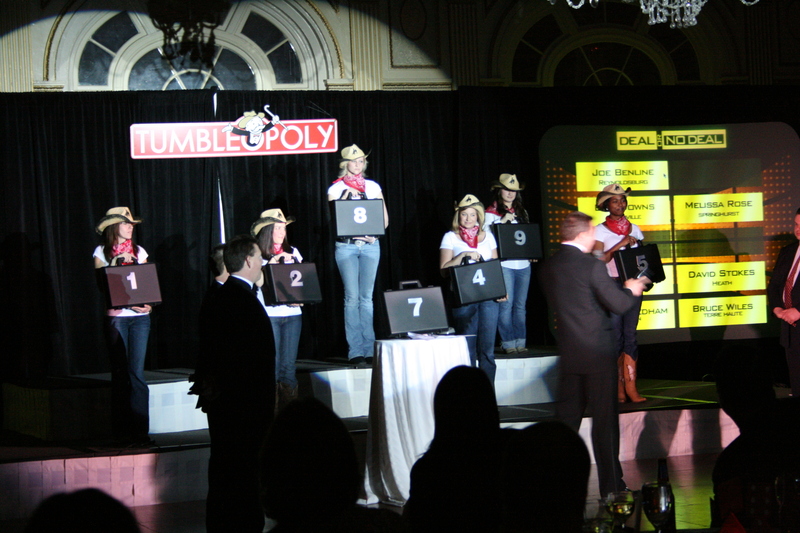 Enjoy the photos below from the 2006 Tumbleweed General Manager of the Year event themed, “Game On.” The theme was established to help motivate the key players to be tough competitors even in a declining economy. 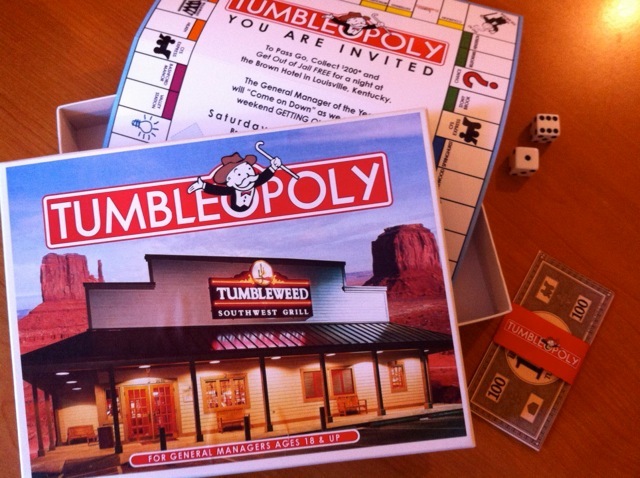 The event included a “Tumbleopoly” (monopoly branded game) invitation with game pieces and Tumbleweed Money to set the tone. Managers played team games during the day to build morale. In the evening, the winner of the annual award was couched in a Tumbleweed-style “Deal or No Deal,”, with lovely ladies in cowboy hats and bandanas.